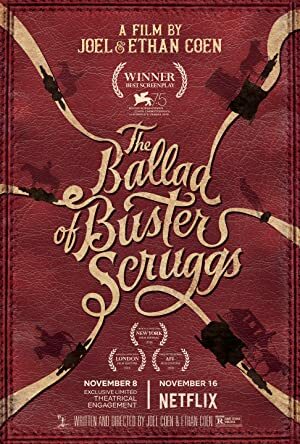 The Ballad of Buster Scruggs (2018) – What's New on Netflix Canada Today! Saddle up for six tales about the American frontier from the unique minds of Joel and Ethan Coen, who wrote and directed this anthology. Follows the story of two trail bosses on the Oregon Trail and a woman on the wagon train who needs the help of one of them and who might be a marriage prospect for the other.